I watched the following documentary just over a year ago. I remember being completely engrossed from start to finish. As a Nigerian born and raised outside of Nigeria, it was an opportunity to gain some insight into the history of my country. Incidentally, during my 3 years at boarding school in Nigeria, we never studied the history of Nigeria. So let me ask; when do Nigerians or Africans in general, get to study/learn about their history? Outside of the family home, it seems quite rare. I found this a worthwhile watch. The author, Jide Olanrewaju, attempts to take a balanced approach, although he doesn’t always achieve this. For anyone with a remote interest in Nigeria, Africa or politics in general, this is a wealth of information. 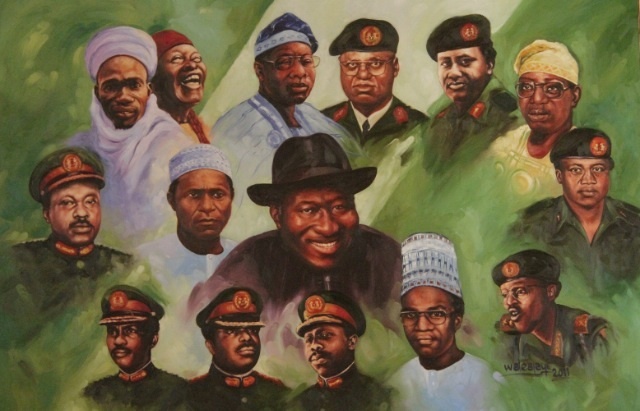 A week after the anniversary of Nigeria’s 54th Independence, I hope you find this as informative as I did. Please feel free to leave your comments below. P.S Let’s pray the scenes from minute 57:15-59 never take place again.